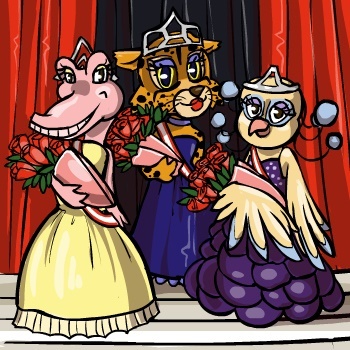 The Beauty Contest is a weekly event where you can enter your doll to become Marapet's Next Top Model. Simply dress up your doll in your best clothing and give your doll a complete make over and enter. Also, answer the judge's questions and enter. Other players can then vote for you, and the player with the most votes will win. There are also bonus prizes possible for everyone who enters! The Rules are the same as Dress Up forum.